China and the US agree that North Korea’s nuclear program represents a major threat to peace and security and has called for the denuclearization of the Korean peninsula, the US secretaries of state and defense said after meeting their Chinese colleagues. 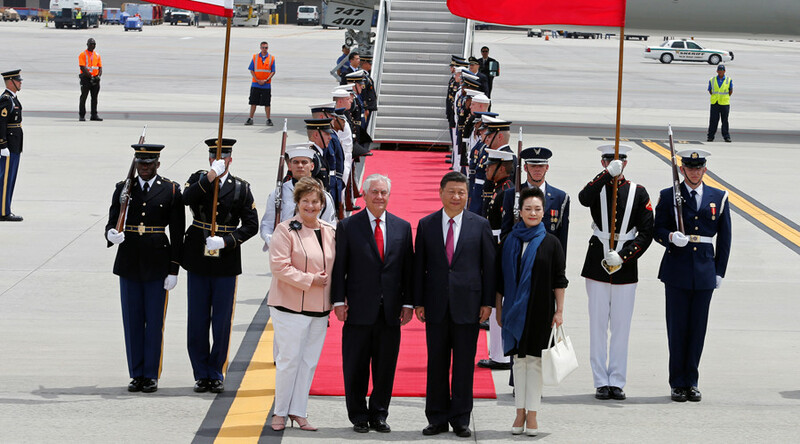 China understands that the US regards North Korea as “our top security threat,” Secretary of State Rex Tillerson told reporters in Washington, DC on Wednesday. Tillerson and Defense Secretary James Mattis spoke at the State Department after their meetings with China’s State Councilor Yang Jiechi and General Fang Fenghui, Chief of the People’s Liberation Army’s Joint Staff Department. “We both call for the immediate, verifiable and irreversible denuclearization of the Korean peninsula, and on DPRK to halt its illegal nuclear weapons program and its ballistic missile tests,” Tillerson said, adding that US officials expect China to exert greater pressure on Pyongyang. The two Cabinet officials also addressed questions about President Donald Trump’s apparent misgivings about Chinese efforts. “While I greatly appreciate the efforts of President Xi & China to help with North Korea, it has not worked out. At least I know China tried!” Trump tweeted on Tuesday. Trump’s tweet was channeling the American people’s frustration with North Korea as a “regime that provokes” and “plays outside the rules,” Mattis said. “We see a young man go over there healthy and with a minor act of mischief come home dead, basically,” he said, referring to American student Otto Warmbier, who died Monday. The University of Virginia student was arrested in North Korea in January 2016, on charges that he stole a propaganda poster from a staff-only level of the Pyongyang hotel where he stayed. 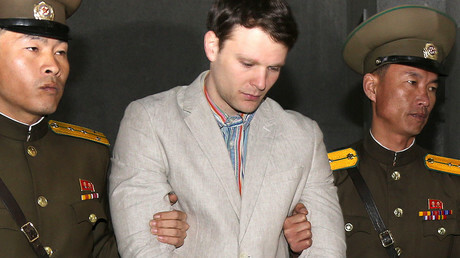 Warmbier was sentenced to 15 years of hard labor but was released and medically evacuated 17 months later. The talks also touched on the sensitive subject of the South China Sea, where Beijing is claiming sovereignty over a number of islands while Washington insists those are international waters where US ships and airplanes have the right to operate freely. 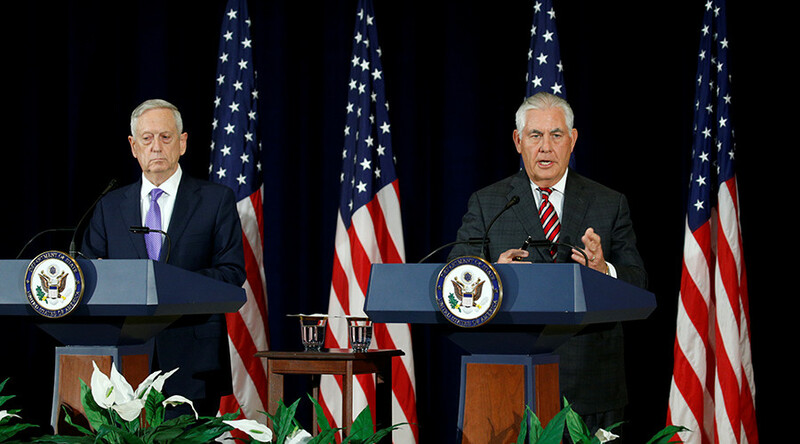 The US opposes changes to the status quo through the militarization of outposts and “excessive maritime claims unsupported by international law,” Tillerson said, adding that Washington was committed to freedom of navigation and overflight. China has committed to resolve all disputes peacefully and in line with international law, including the UN Convention on the Law of the Sea (UNCLOS), he added. The US is not party to the convention. On the question of the South China Sea, “our understanding of the problem is very different from theirs,” Mattis acknowledged. He remained hopeful about future cooperation with China, however. “While competition between our nations is bound to occur, conflict is not inevitable,” he said. 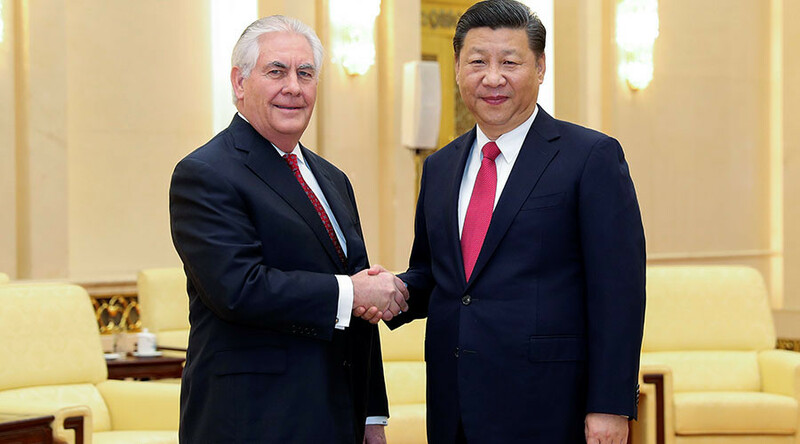 Tillerson’s visit to Beijing in March was followed by Chinese President Xi Jinping’s visit to the US three weeks later. Xi and Trump discussed a new North Korea strategy during their two-day summit in Mar-a-Lago, Florida.